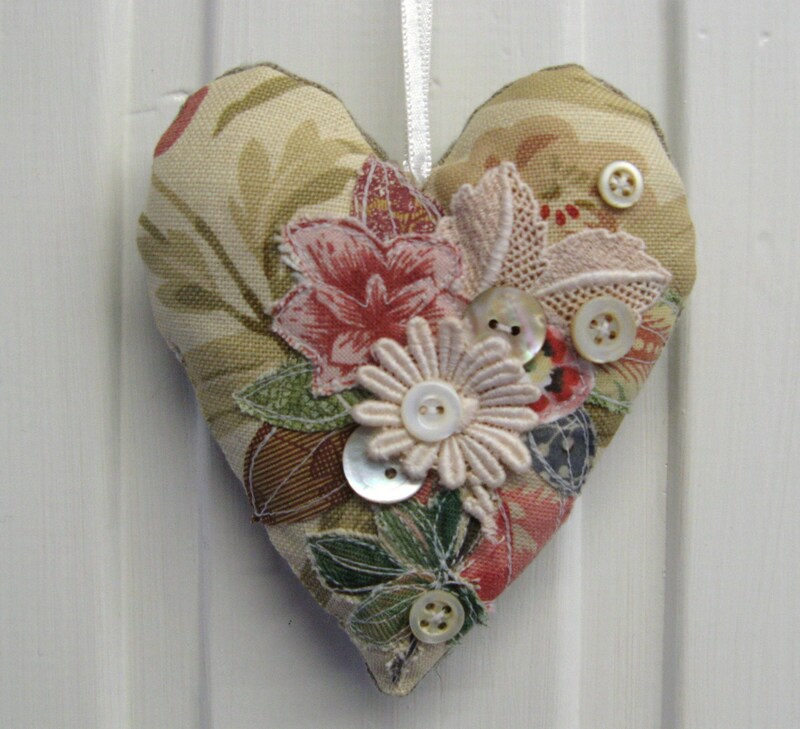 Hearts, Calico and Old Linen. 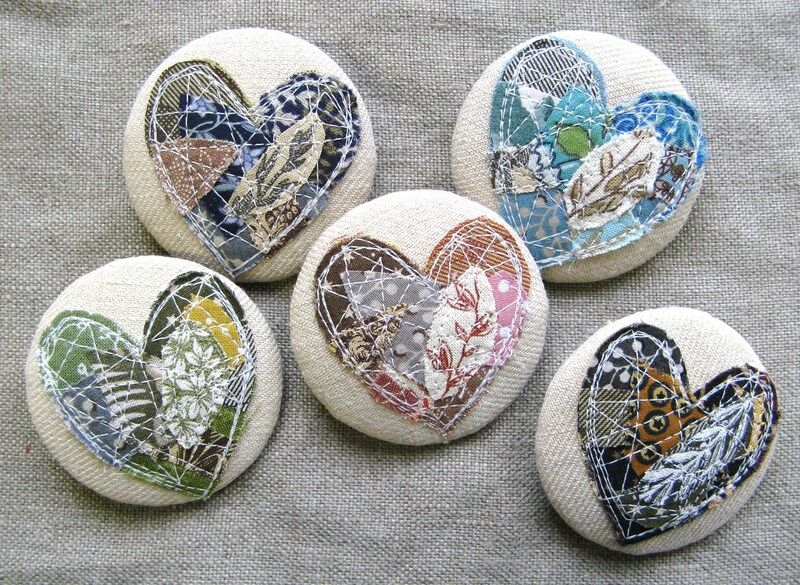 I`ve been busy this week making some more round heart brooches. 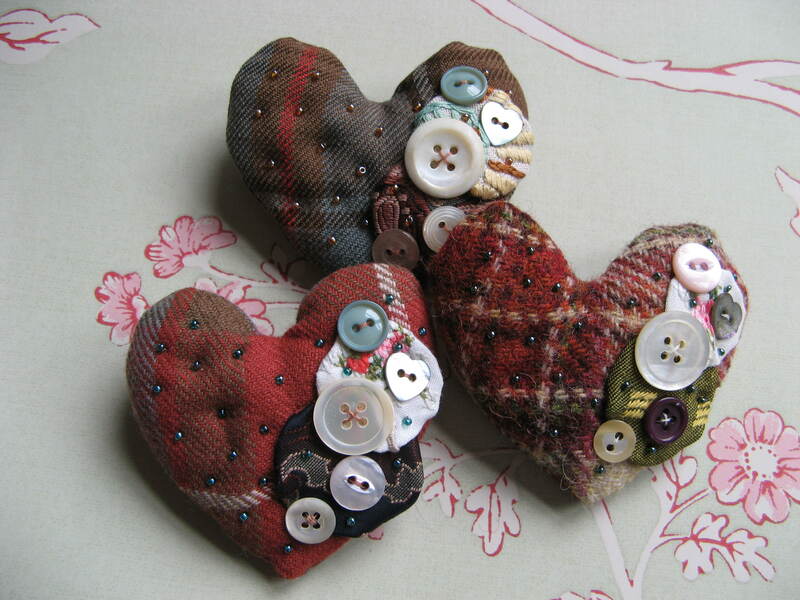 They proved to be popular for Valentines day so I decided to make a few more. 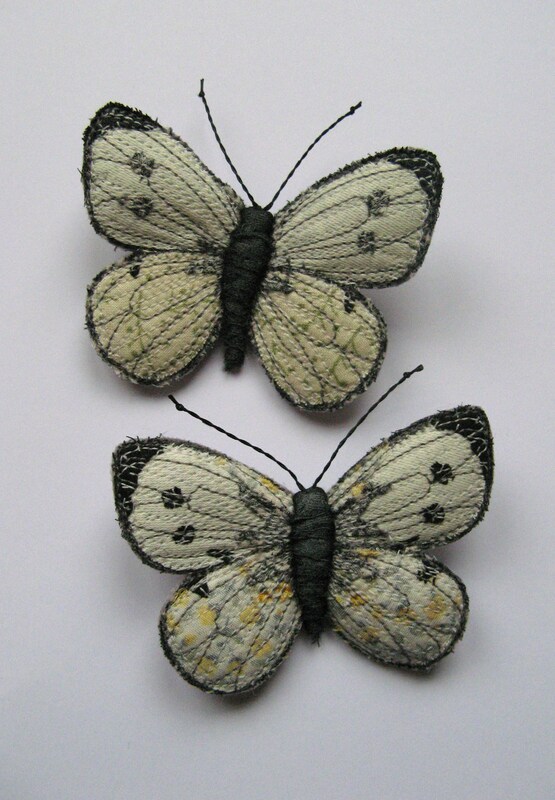 I used more muted colours for these ones, with some thick, twill-woven vintage calico for the background. 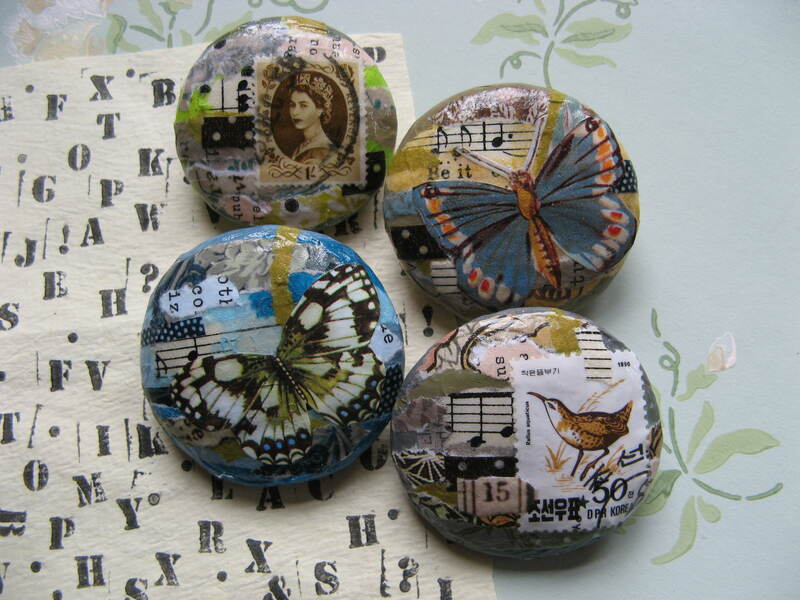 I was quite pleased with these, the rough texture of the calico gave them a look (I think) of little sandstone pebbles. 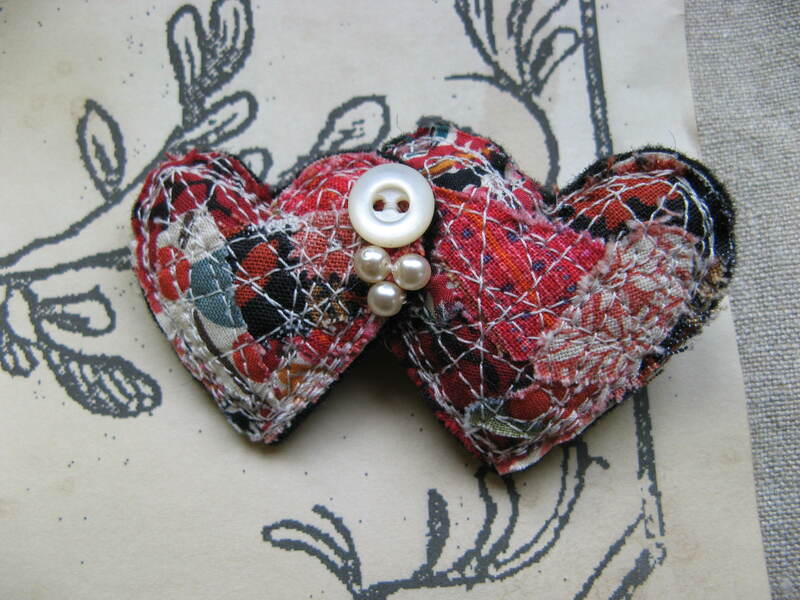 I only have a small piece of this fabric, so I`ll keep it for more brooches. 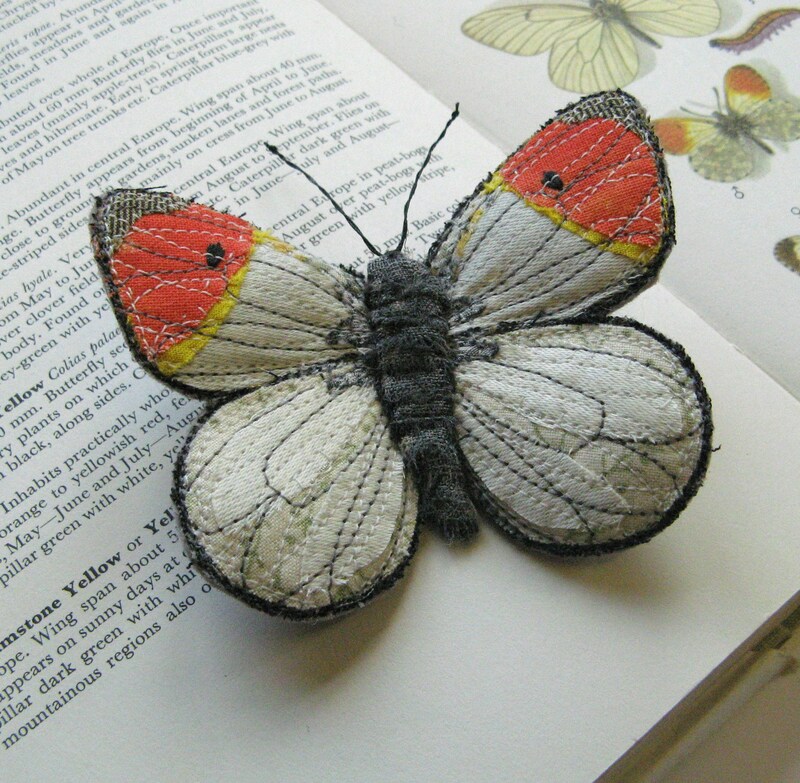 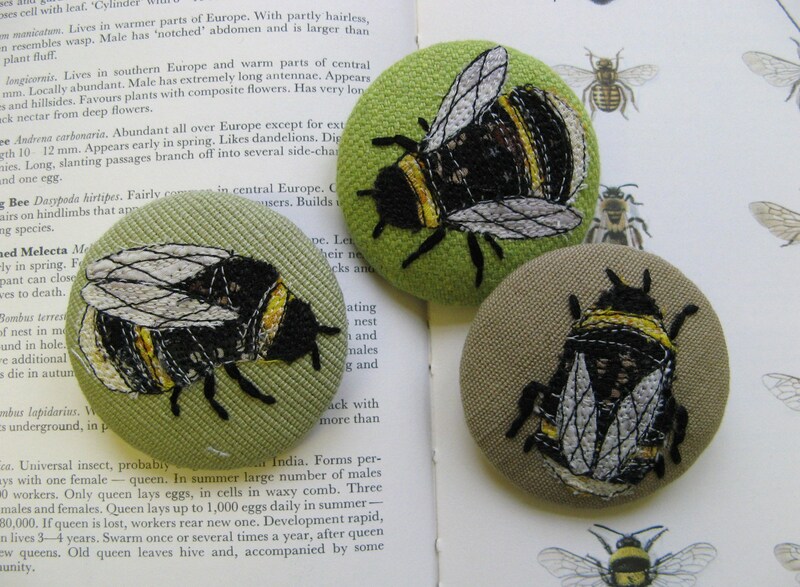 I`ll be making a few of these brooches for my stockists, these ones are heading into my Etsy shop. 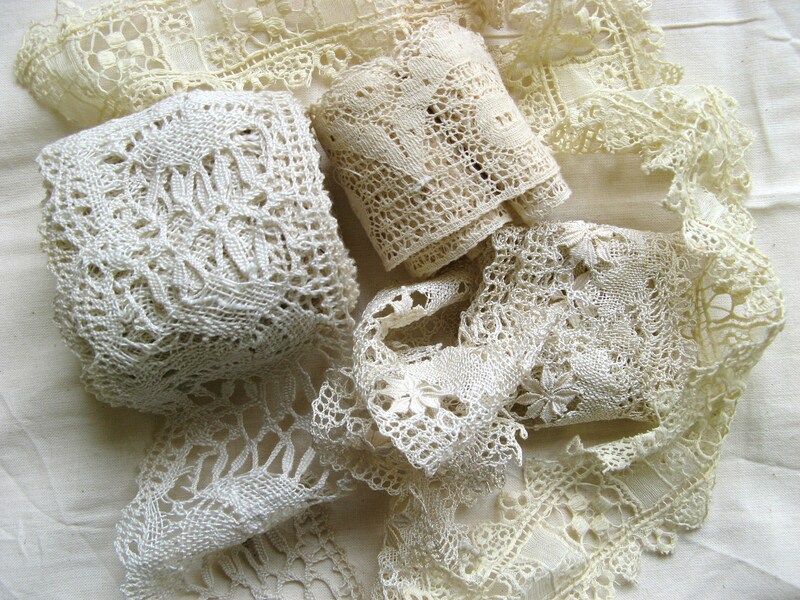 I`ve been experimenting with bits of linens and lace this week and I bought a big piece of calico to play with. 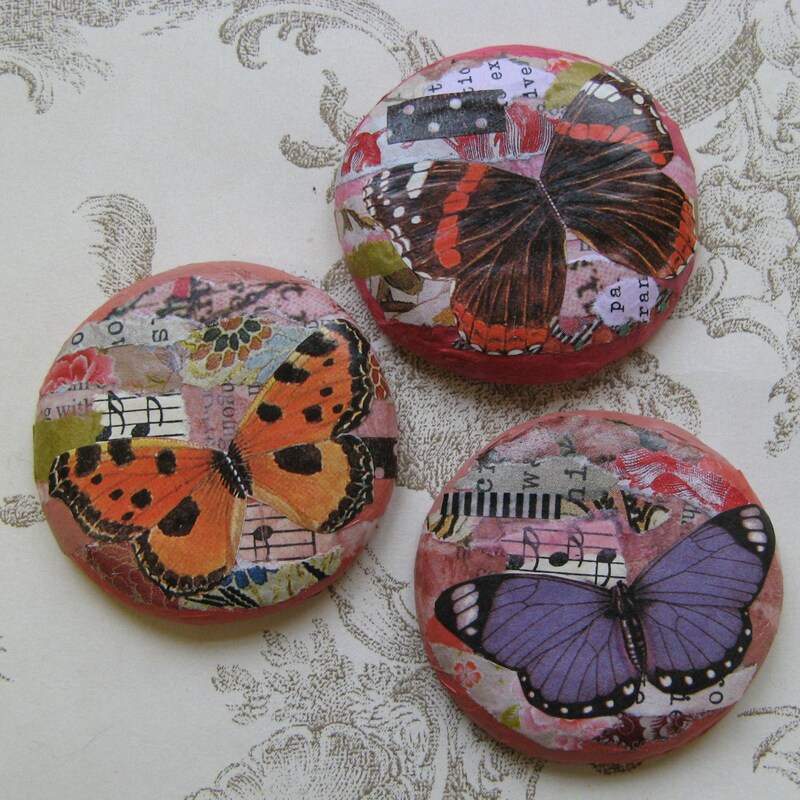 I used to use calico all the time and it`s fun to work with it again. 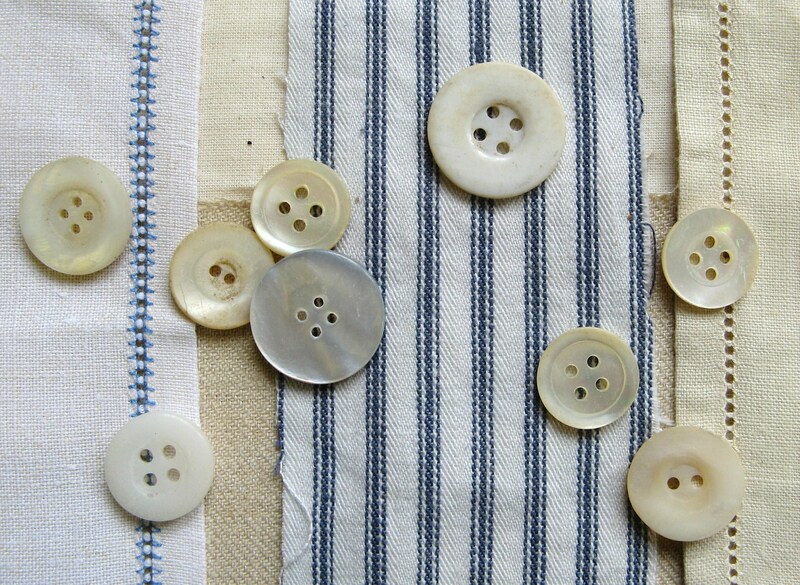 It`s such a humble fabric, with a folksy, homespun feel and speckled with tiny imperfections, but is also really sturdy and versatile . 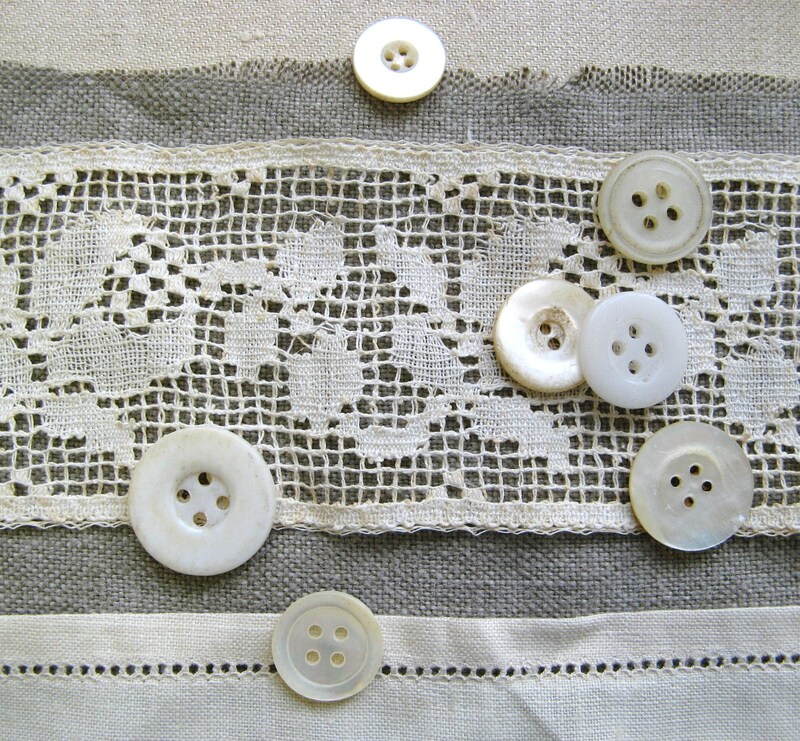 I love combining the textures of calico, grainy old linens, homely ticking and frothy vintage lace. 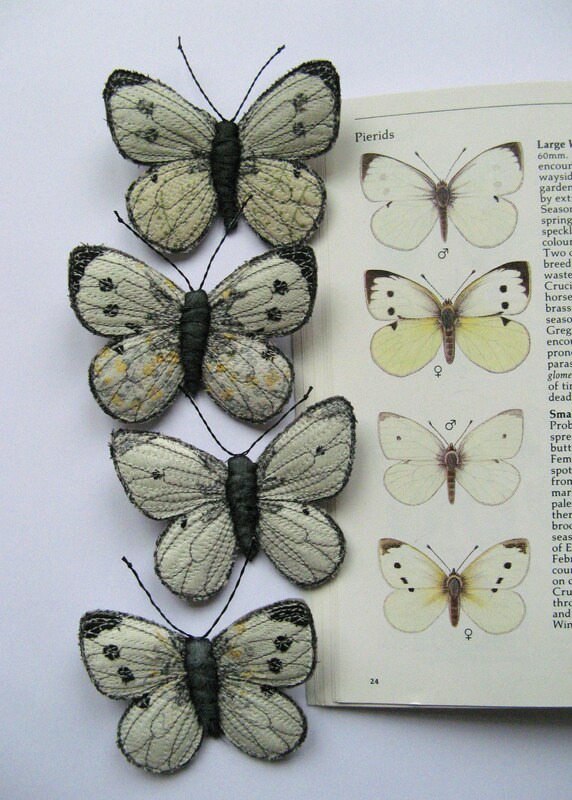 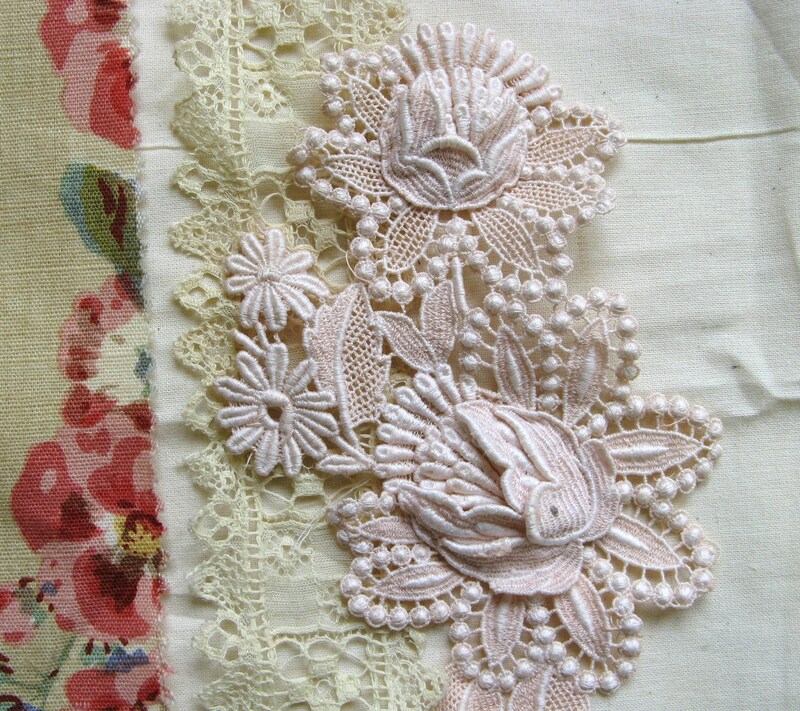 I`m planning to combine these in new work, using the lovely creamy, neutral shades as a nice contrast with embroidery. 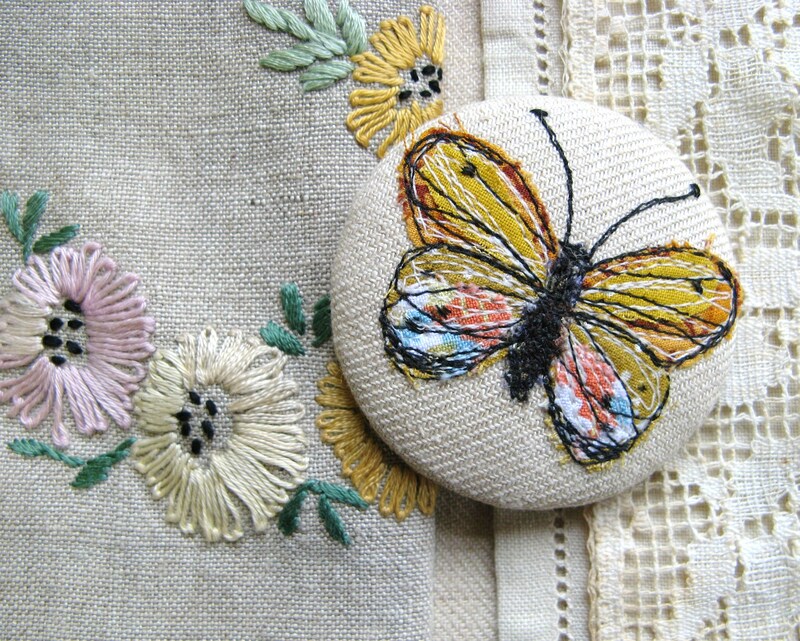 The calico I bought was stitched together like this on the roll. 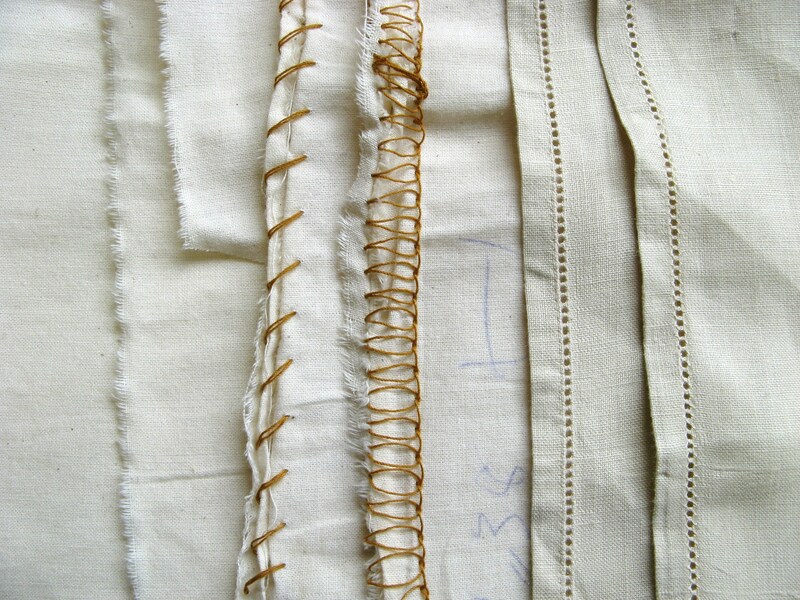 I like the utillitarian, rough stitches. 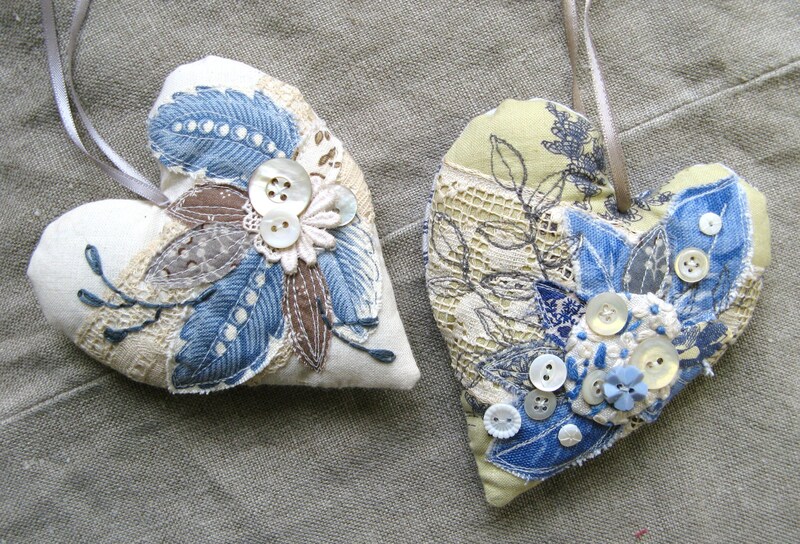 I`ve been working on some little keepsake hearts this week too. 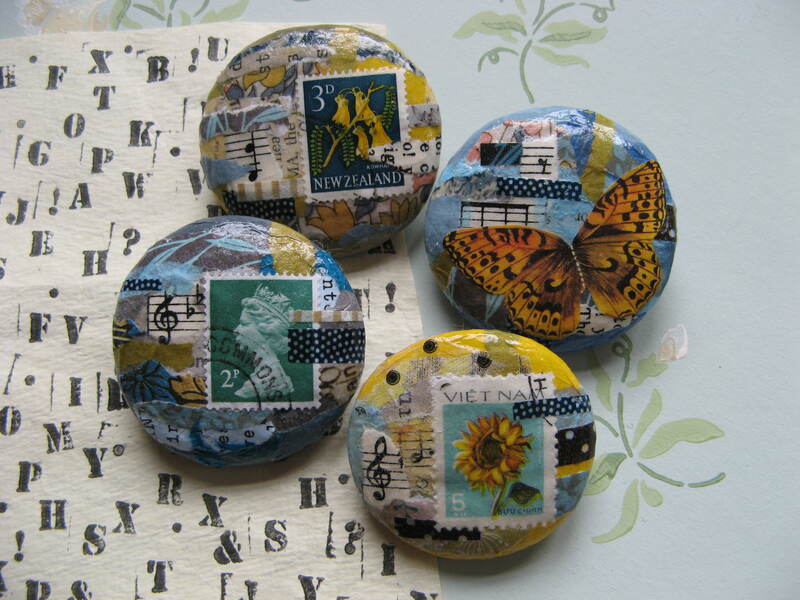 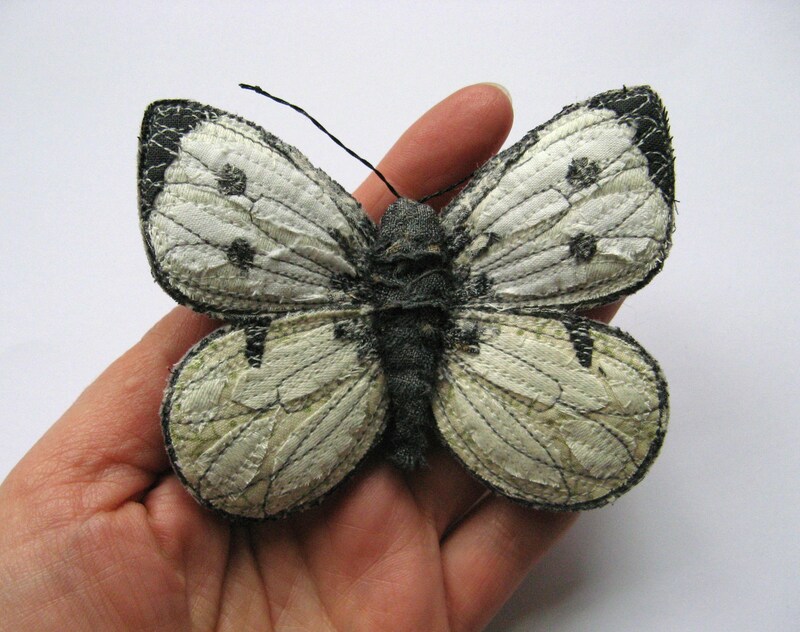 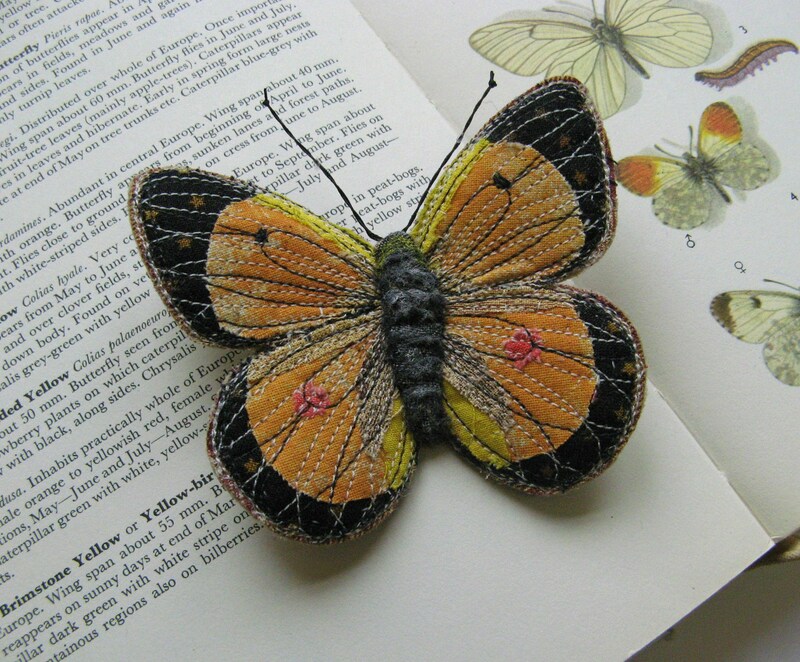 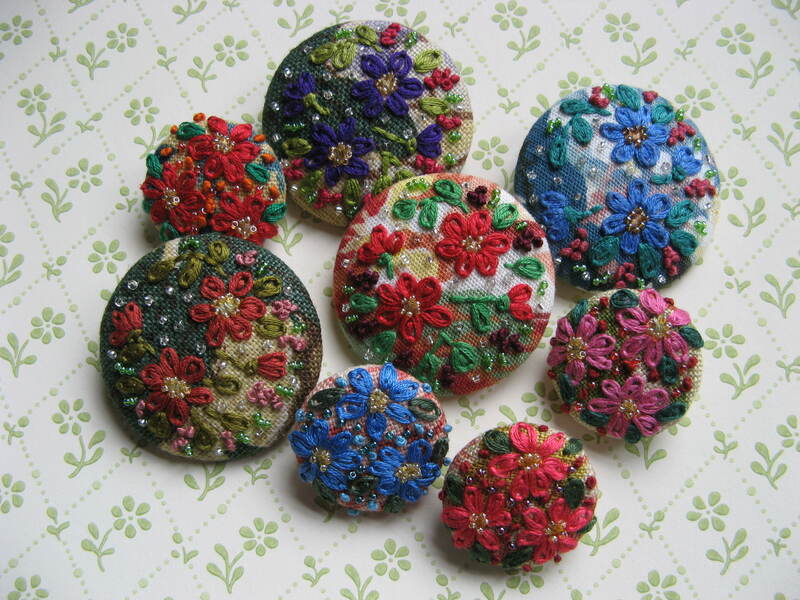 They are stitched from calico, vintage fabrics, vintage lace and shell buttons. 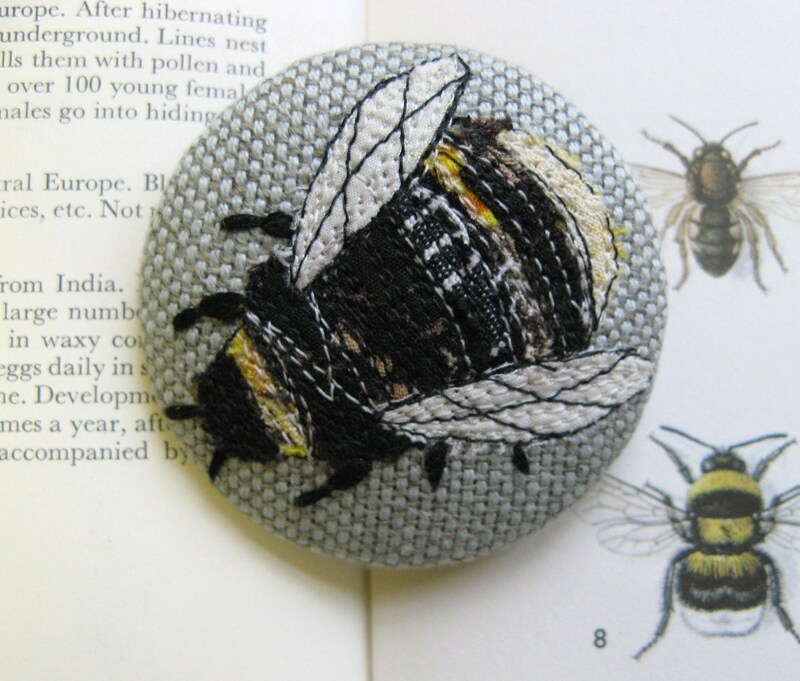 They have a linen sachet of lavender inside as well as a bit of padding. 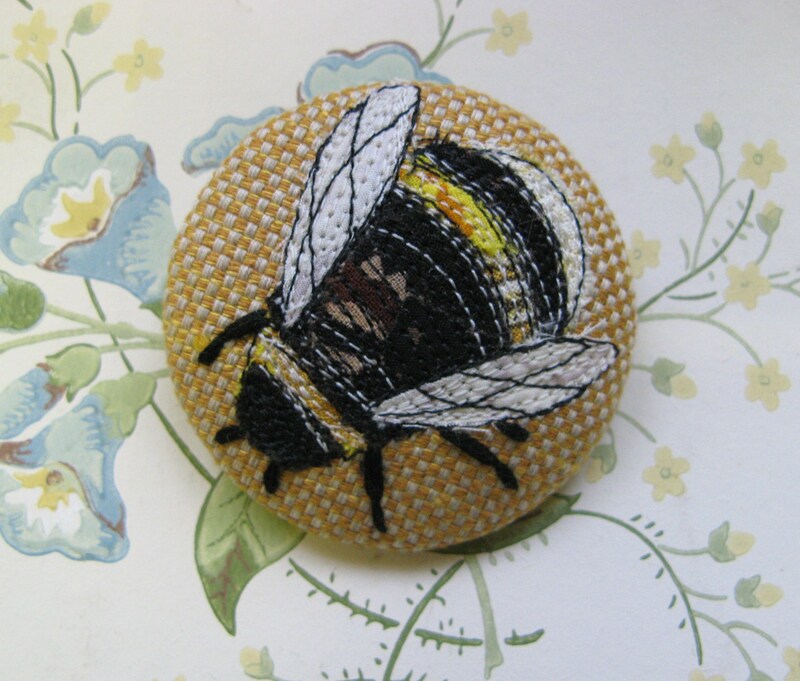 I like the idea of making little one-off treasures and mini embroideries, something I`m hoping to develope over the next few weeks. 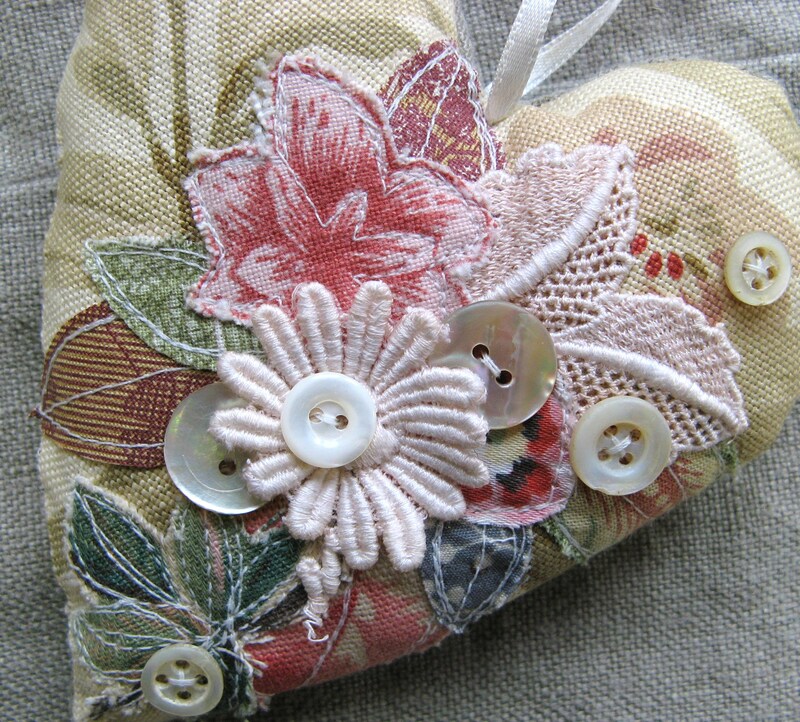 I tried to give these hearts a collagey feel, and I`ve used both machine and hand embroidery. 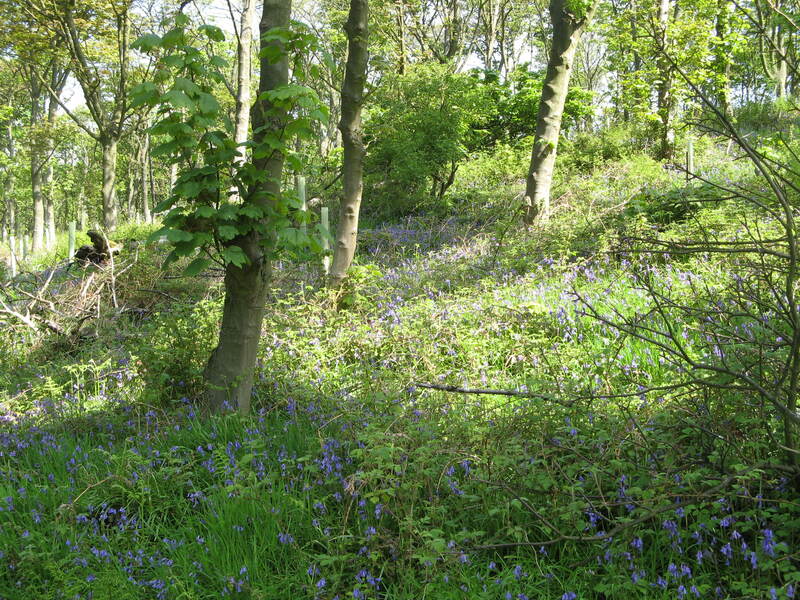 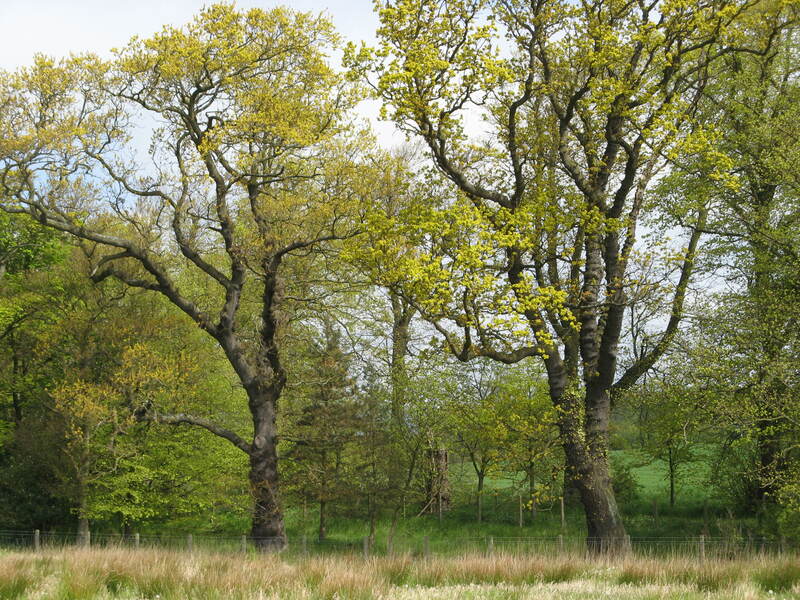 I must admit I`ve been taking advantage of the sunny days to catch up with friends, get some gardening done and go for some lovely woodland walks. 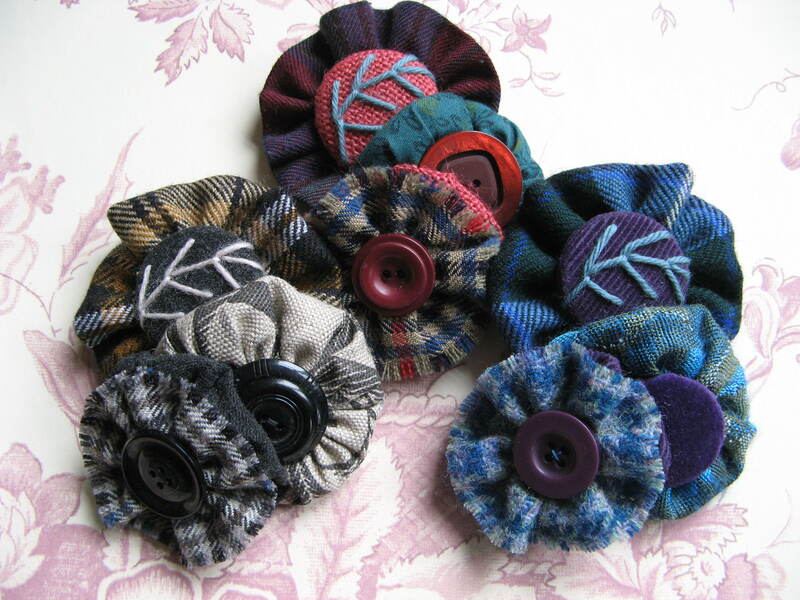 I`ve been busy sewing too, making stitched heart and daisy brooches for Boho in Aberdour, top ups for my other stockists and lots more fascinators for Katie Cupcake (she`d sold out again!). 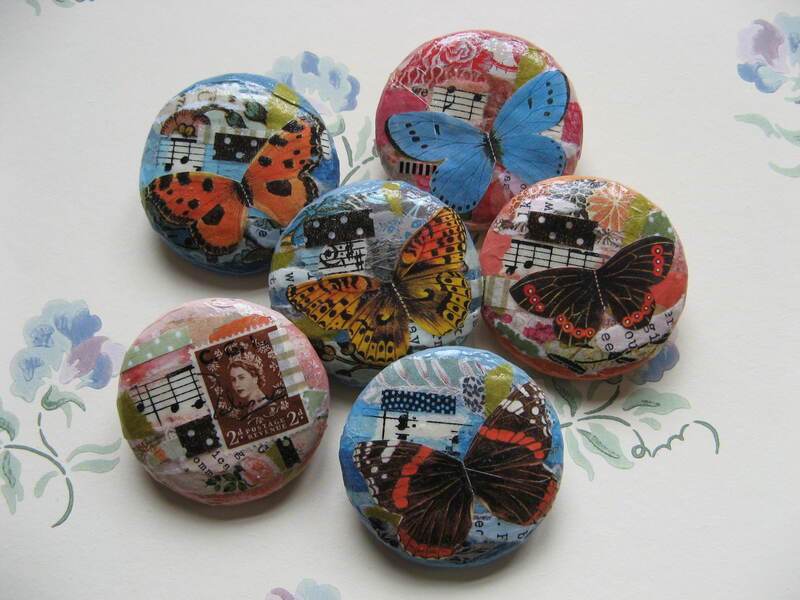 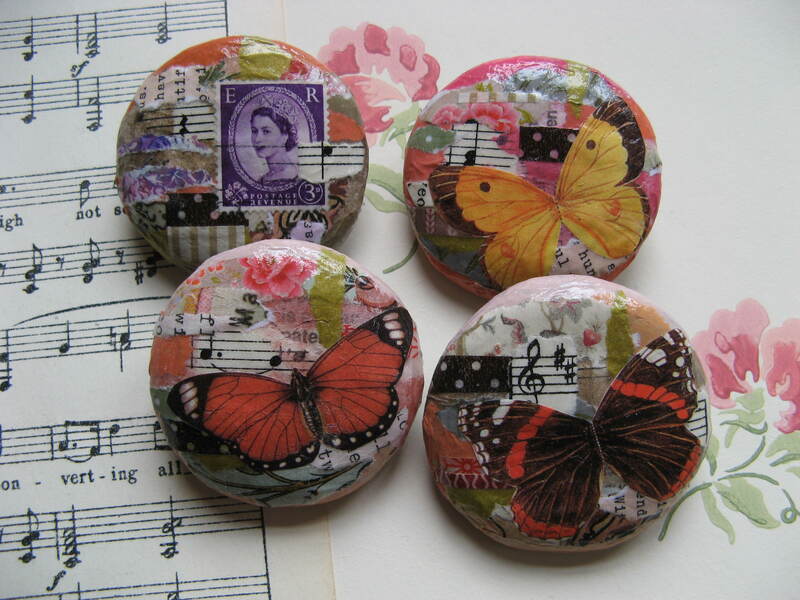 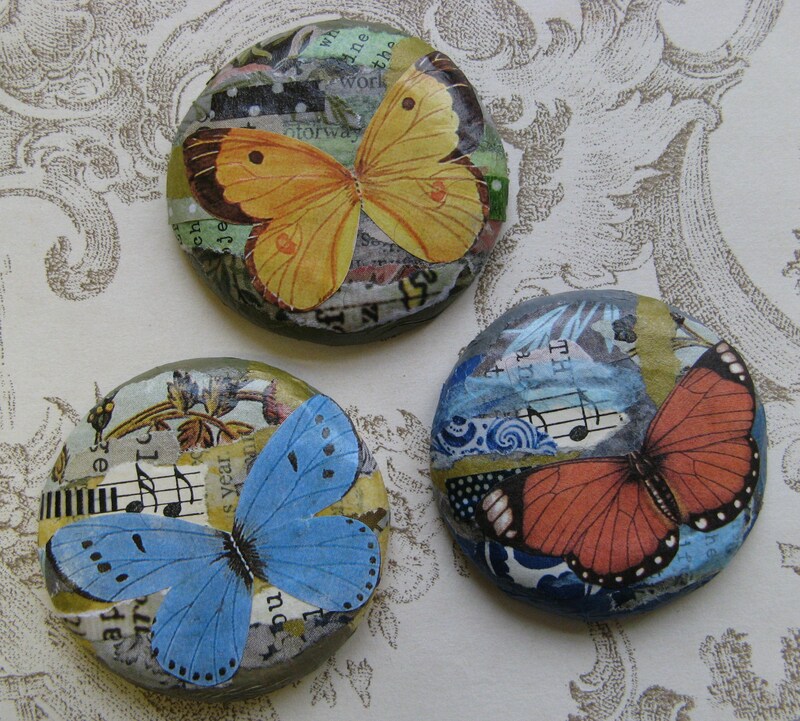 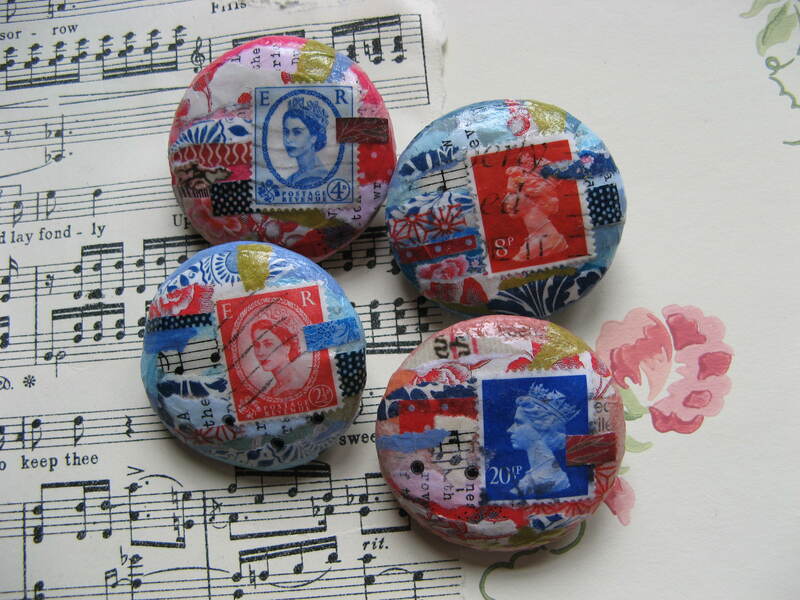 I made a fresh batch of decoupage brooches last week, I really like these pinky-toned ones. 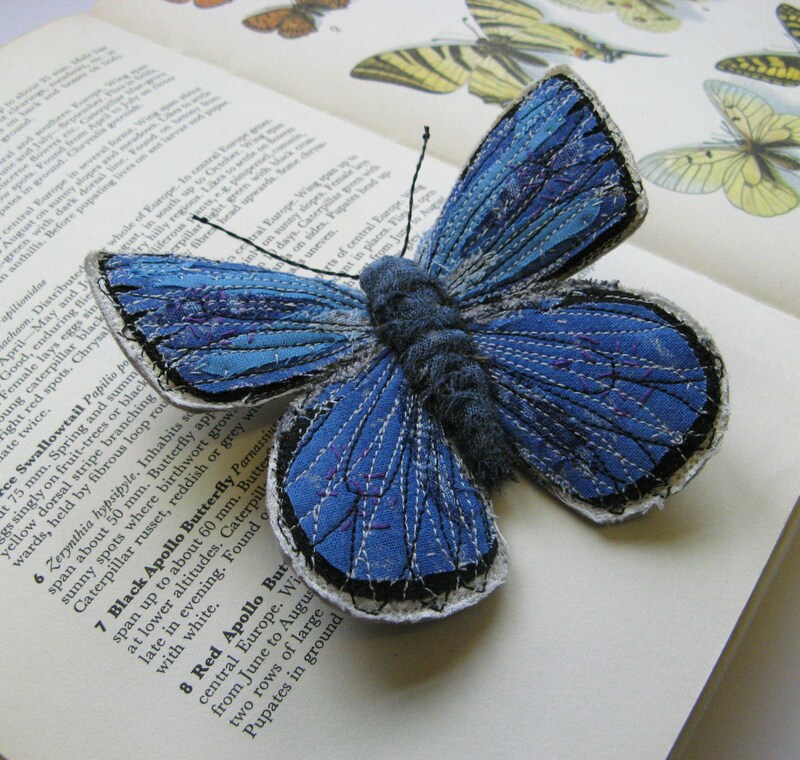 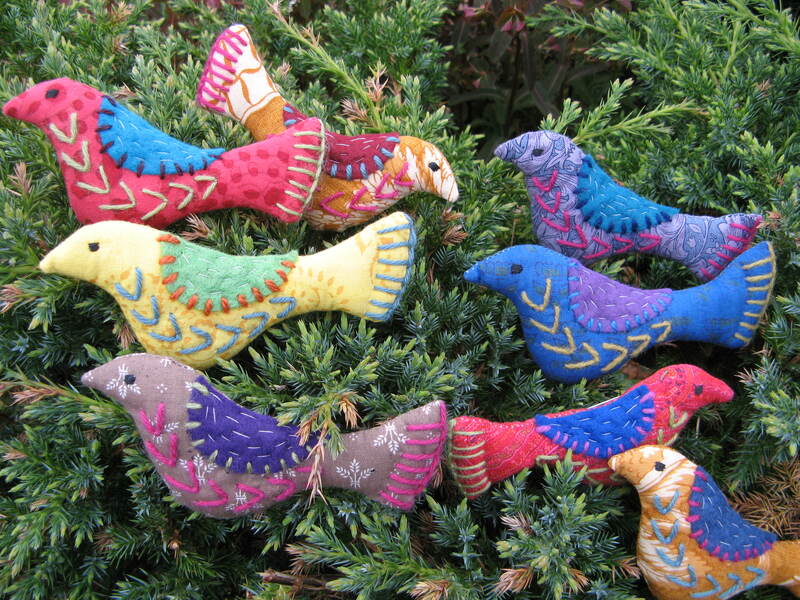 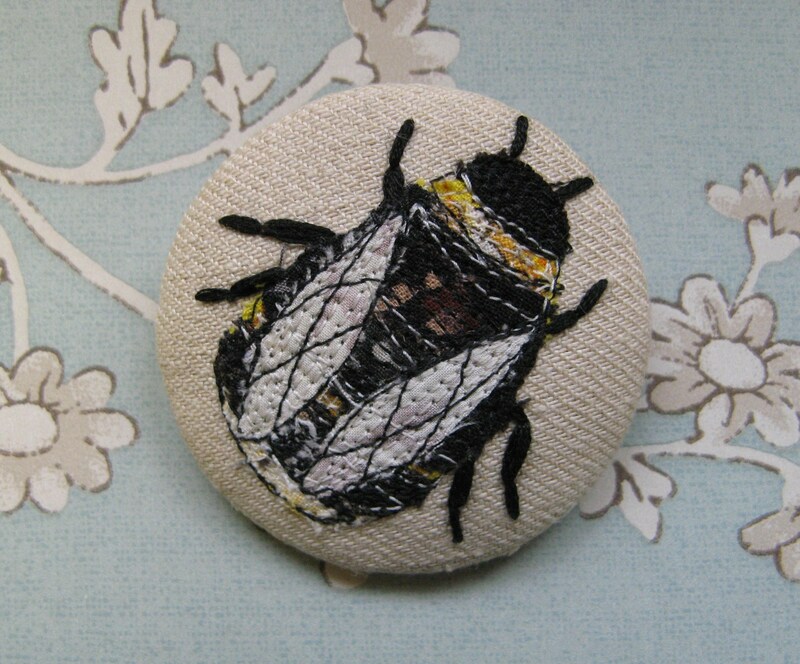 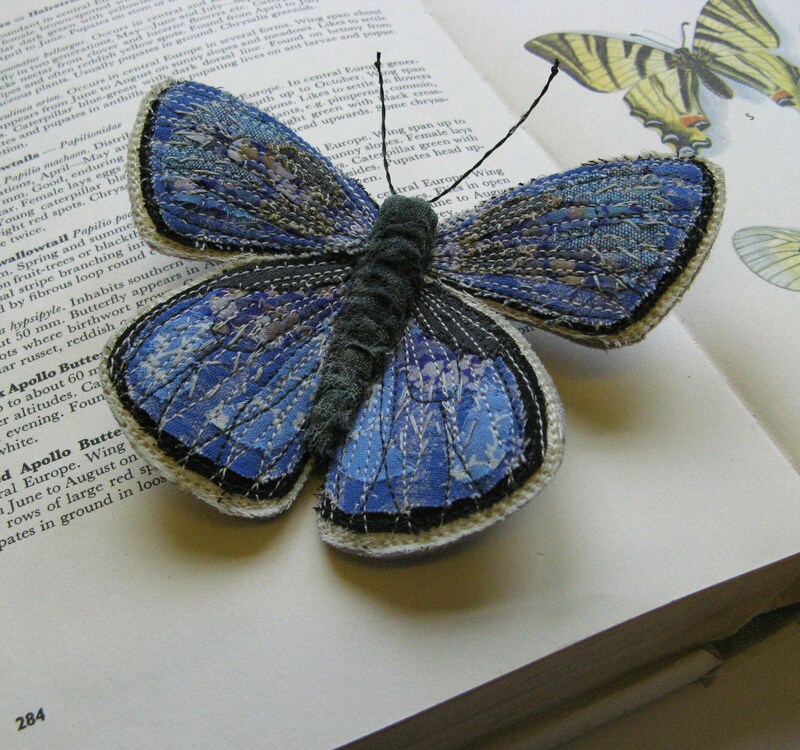 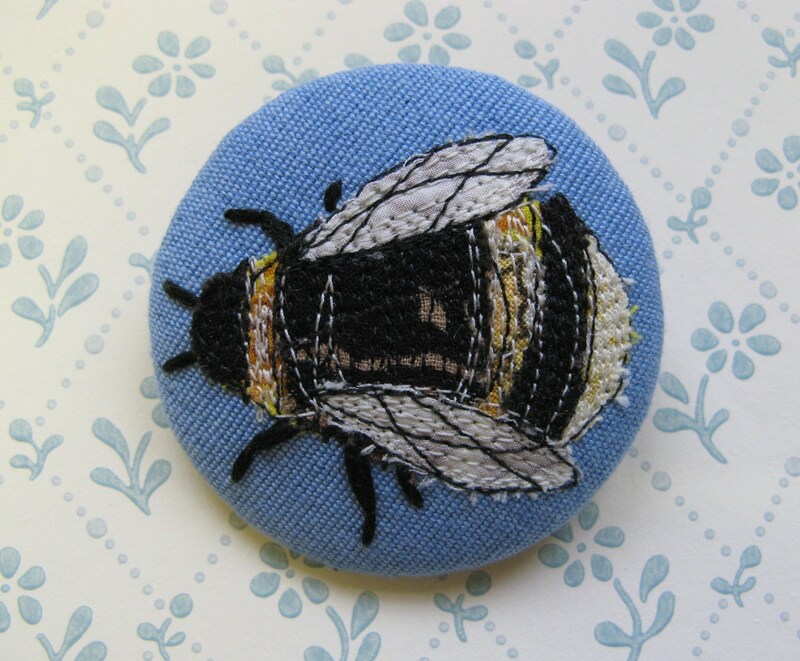 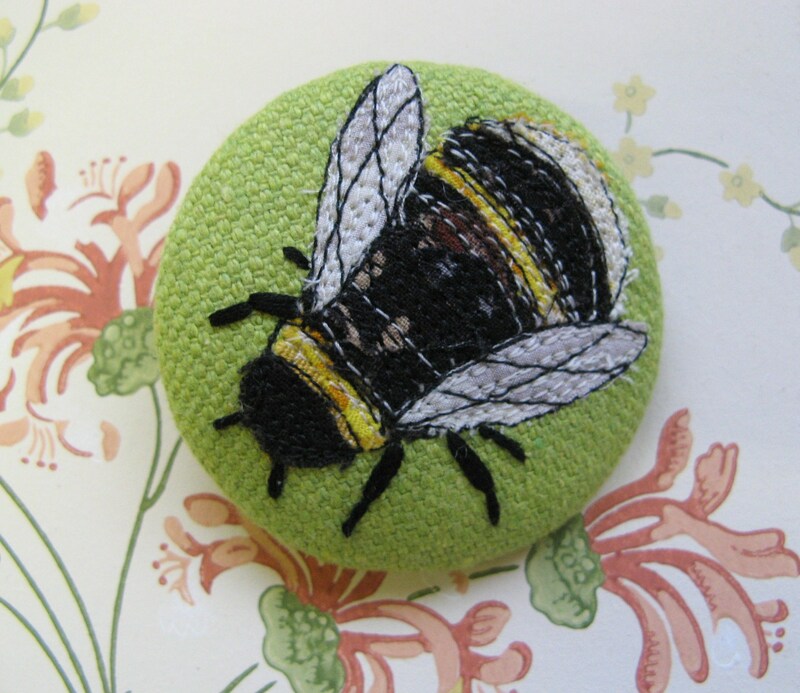 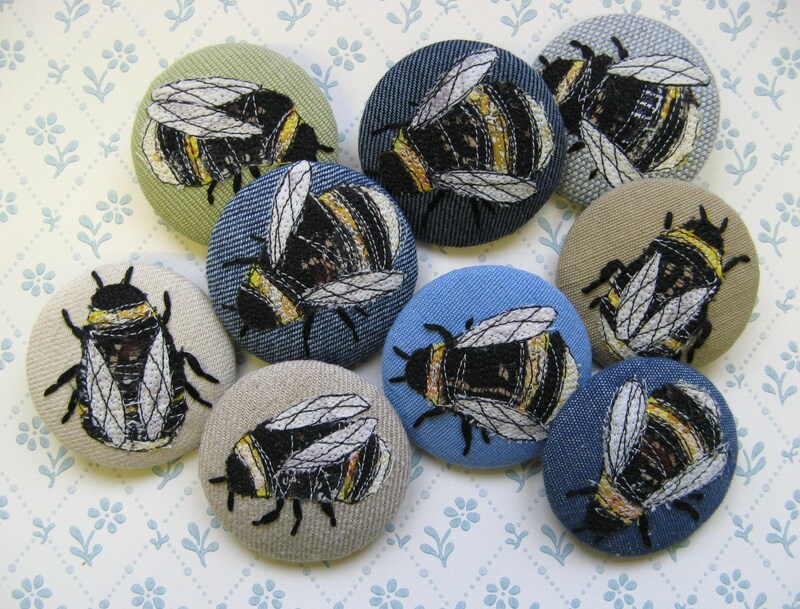 I`ve still got lots of other brooches to catch up with to make sure my stockists have plenty for the summer. 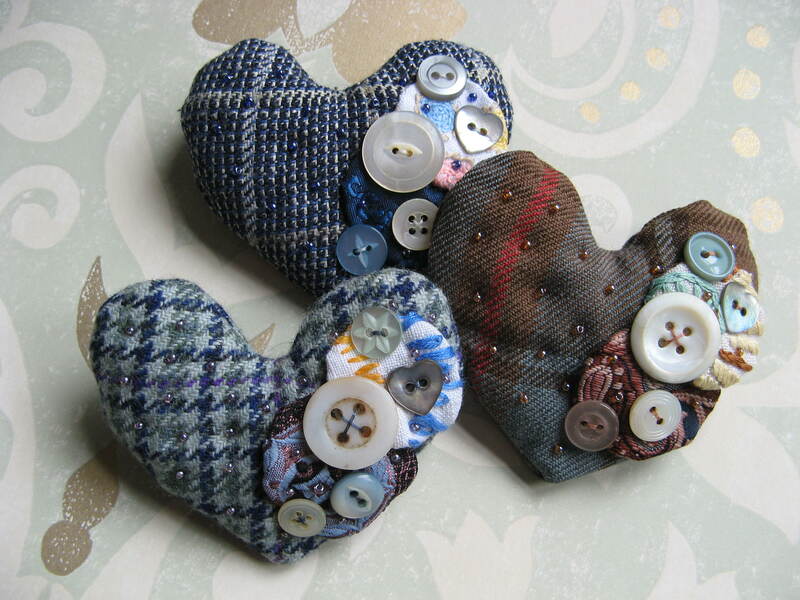 In the next few days I`ll be sewing rosebud corsages, rosette corsages, tweed hearts, embroidered brooches and lots more little stitched hearts. 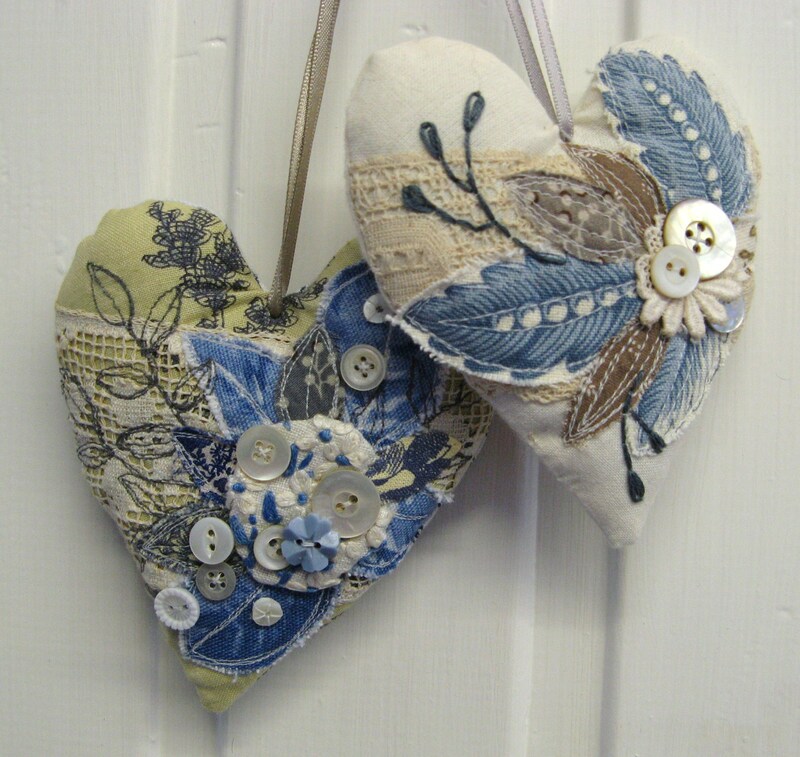 I`m so glad that my new little hearts are selling well, they are definately my favourite at the moment and I`ve been wearing one every day. 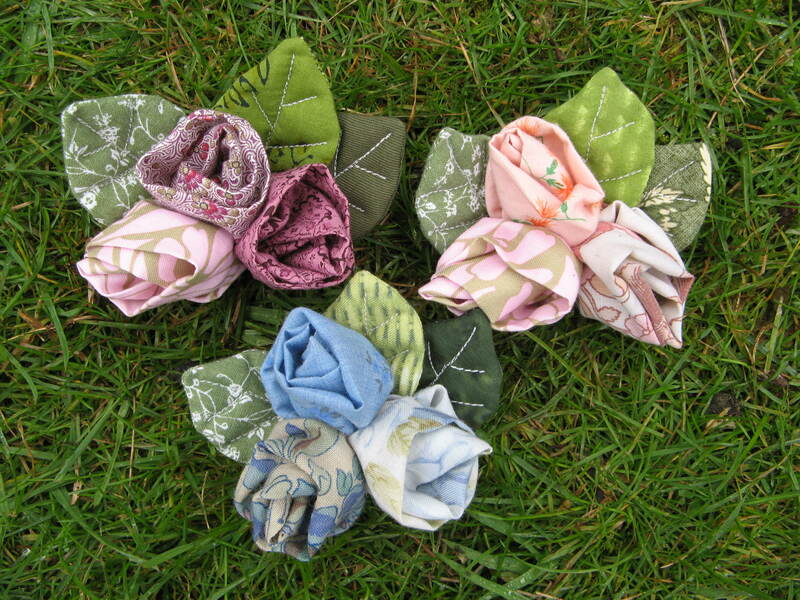 They are really light and dainty, perfect for wearing on a T-shirt or Summer dress. 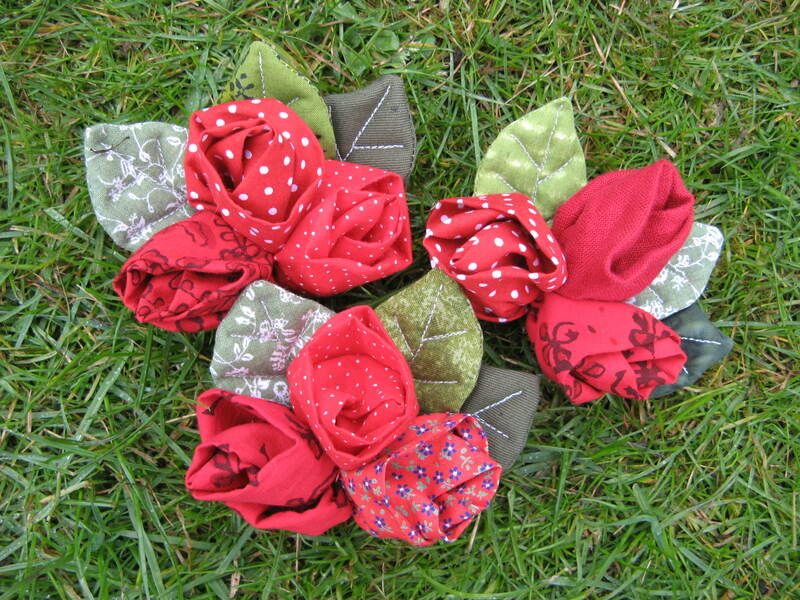 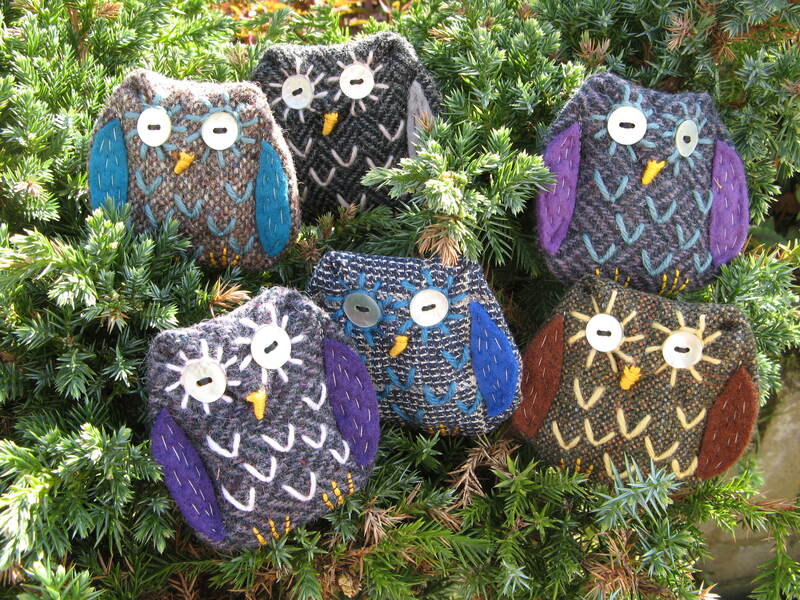 I hope we have a few more sunny days next week so I can sew in the garden. 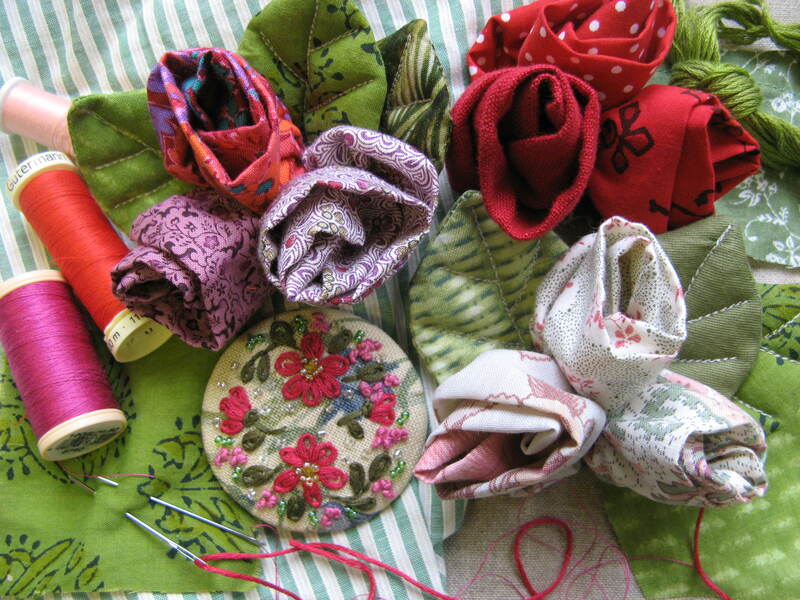 There`s nothing nicer than sitting on a rug under the apple tree with a cup of tea, getting on with some sewing while listening to a play on the radio. 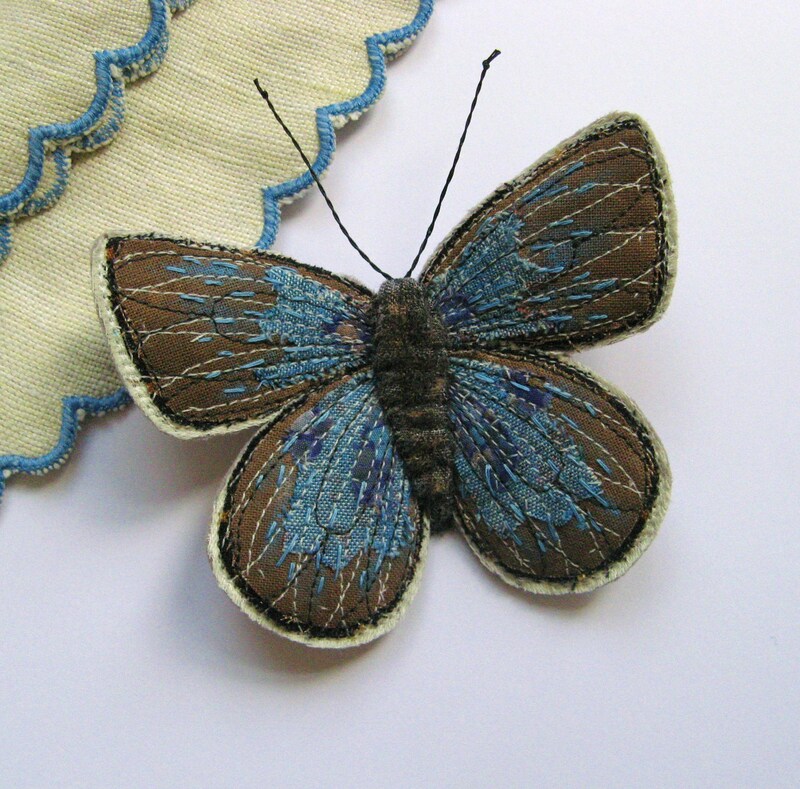 My cat, Matilda, loves the sun and usually keeps me company, sprawled on the rug beside me. 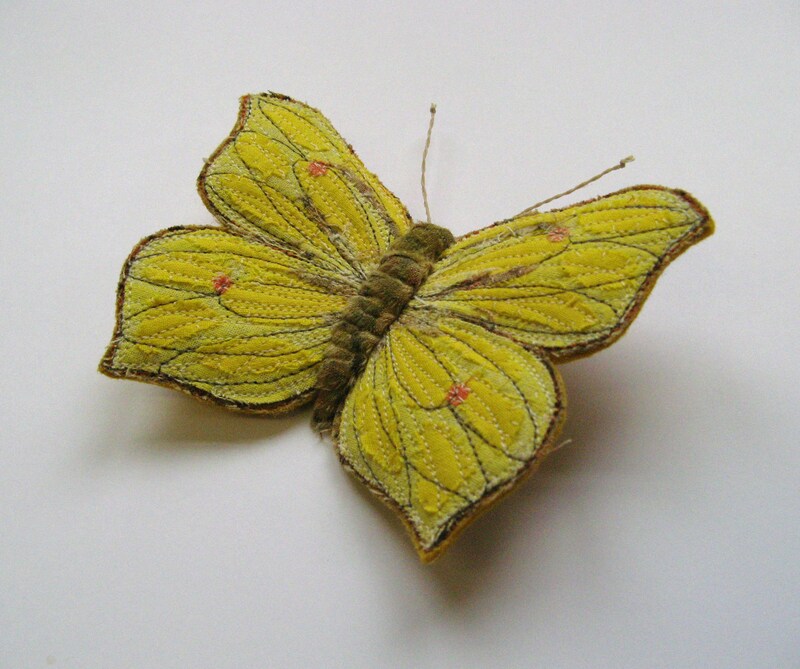 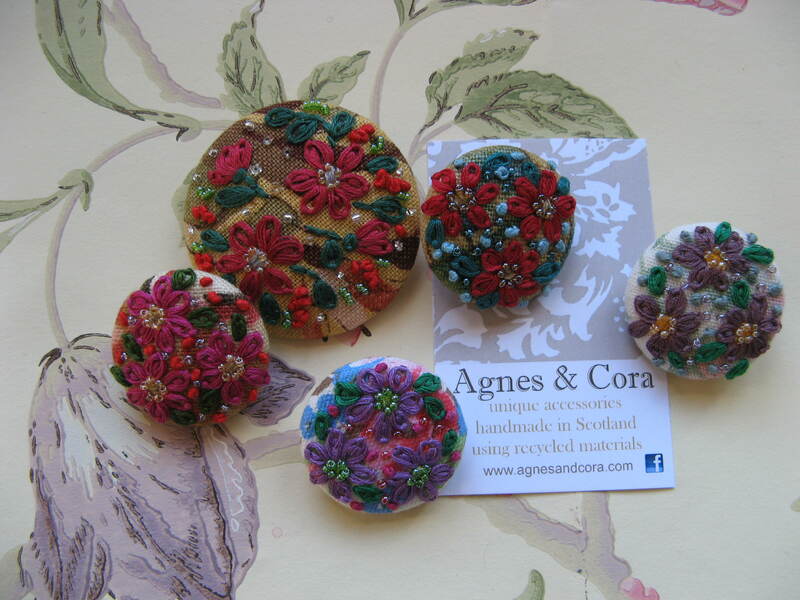 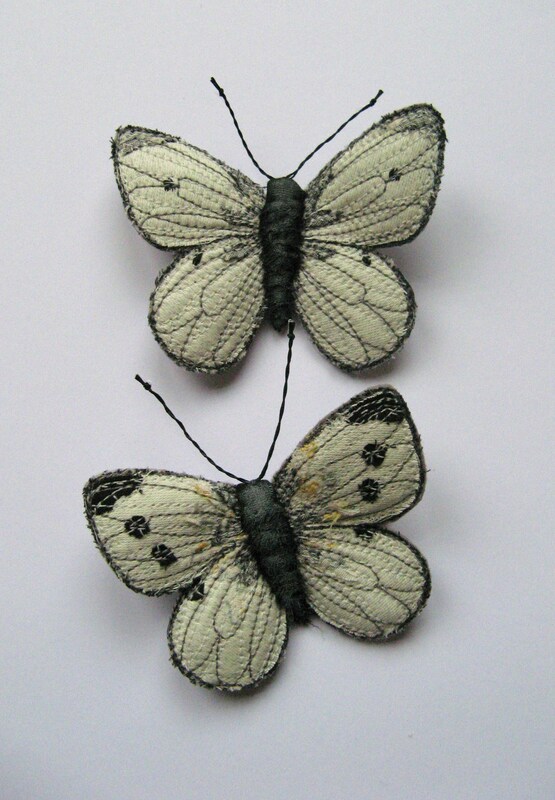 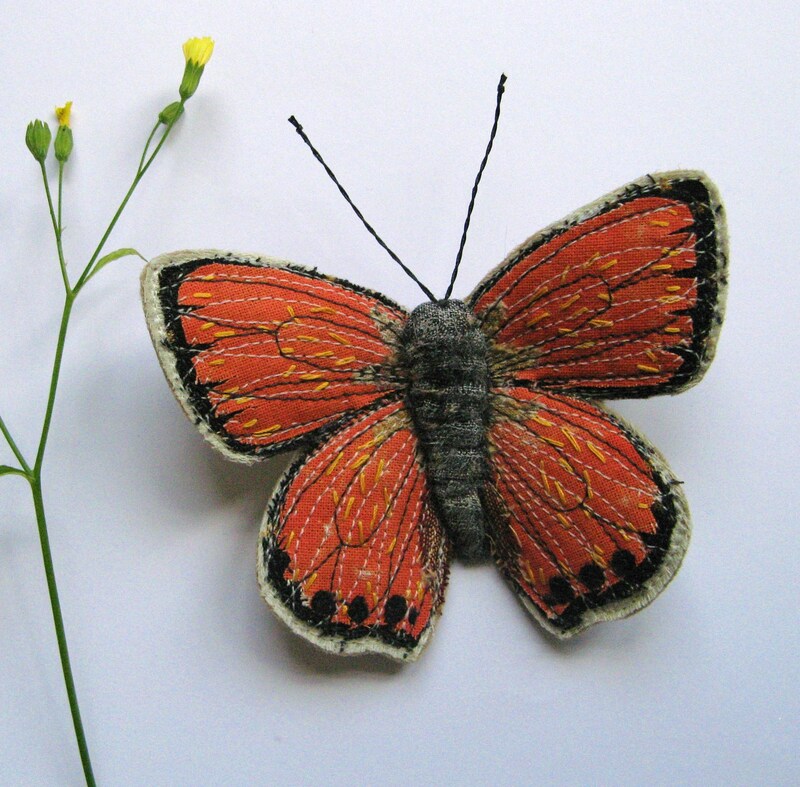 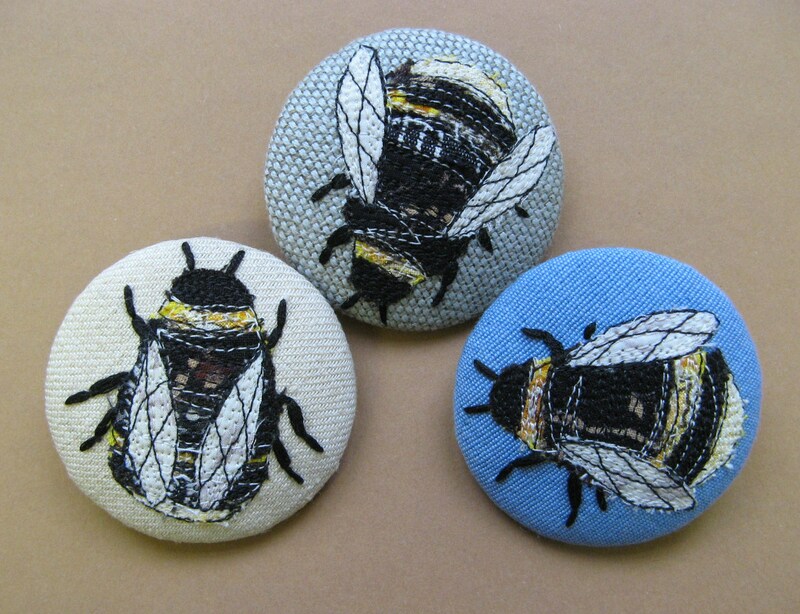 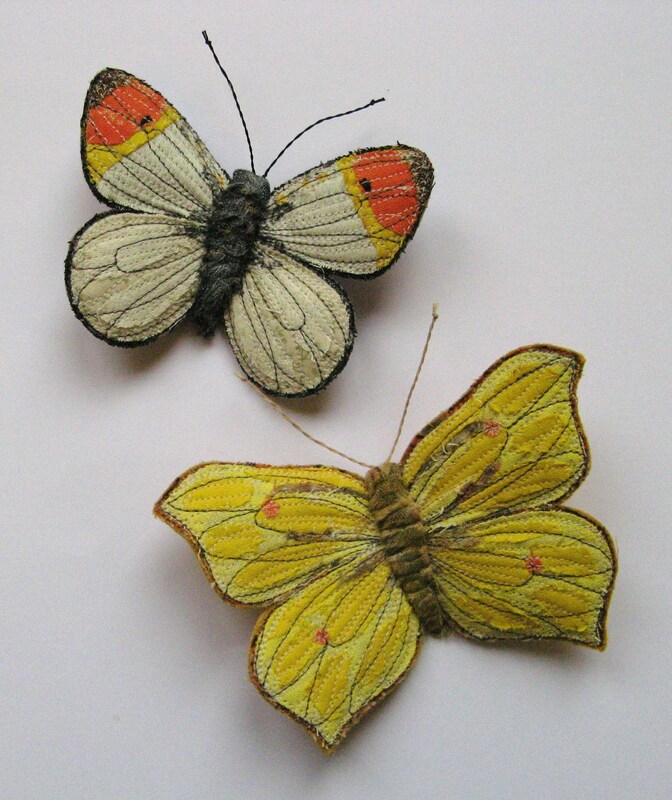 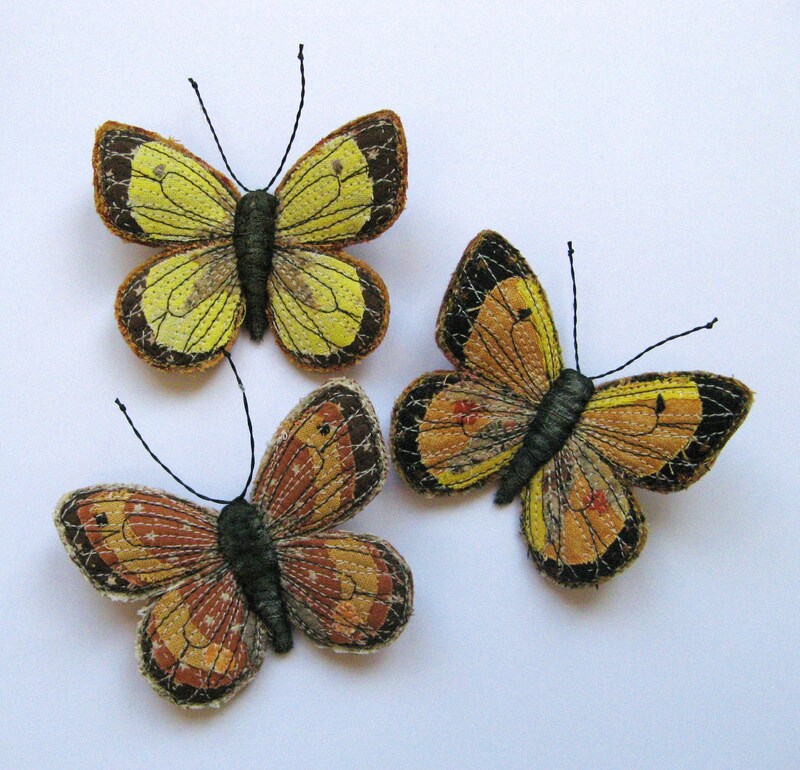 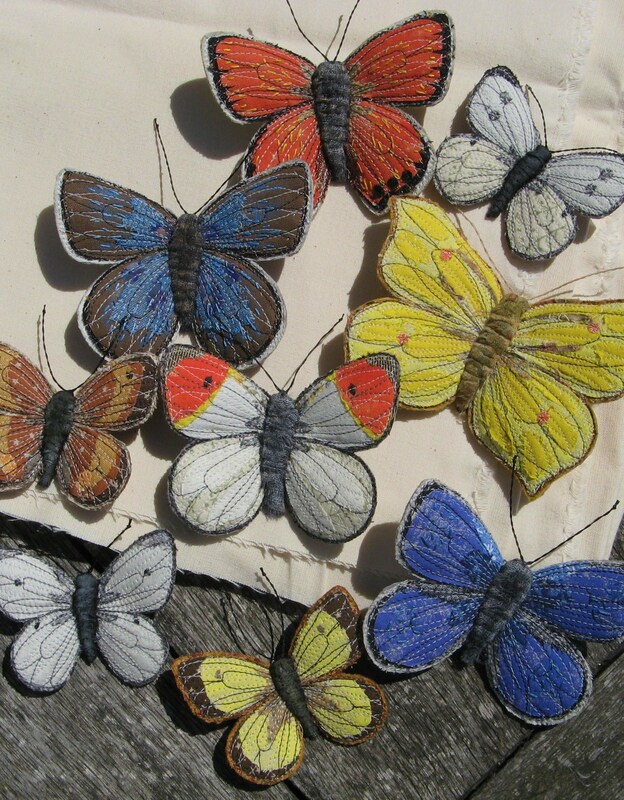 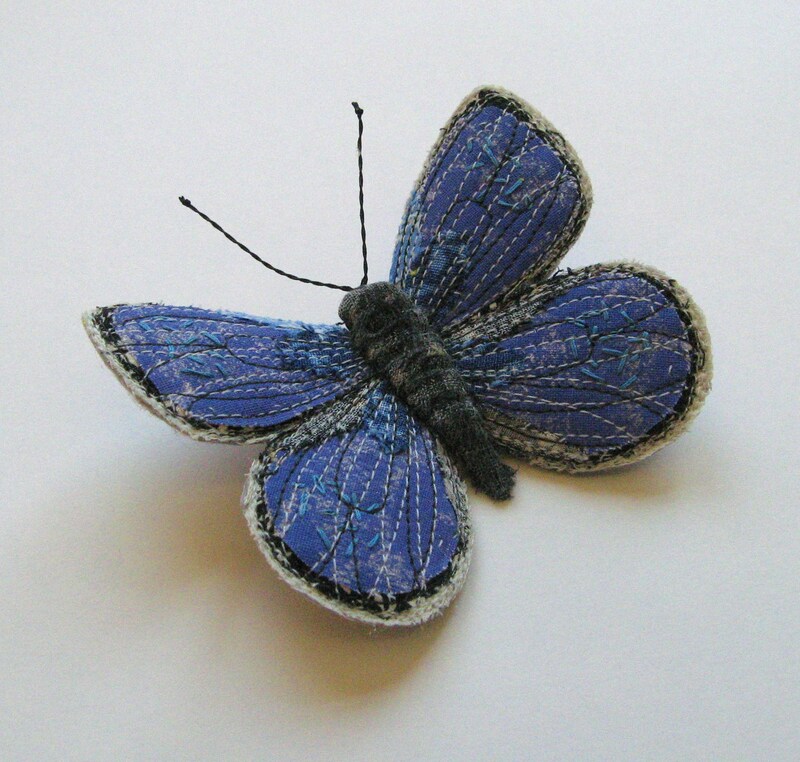 Here are some new mini embroidered brooches that I`ve been making for my stockists for this Spring. 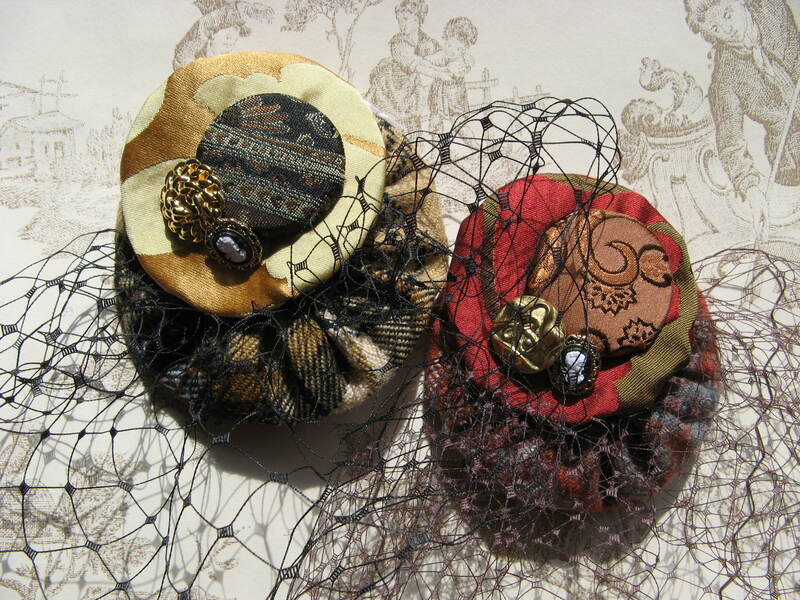 The mini brooches are definately going to be joining their big `sisters` as a permanent part of my collection!